Over a period of 20 years, a business, leisure and housing complex has been constructed on the east side of Leeds. 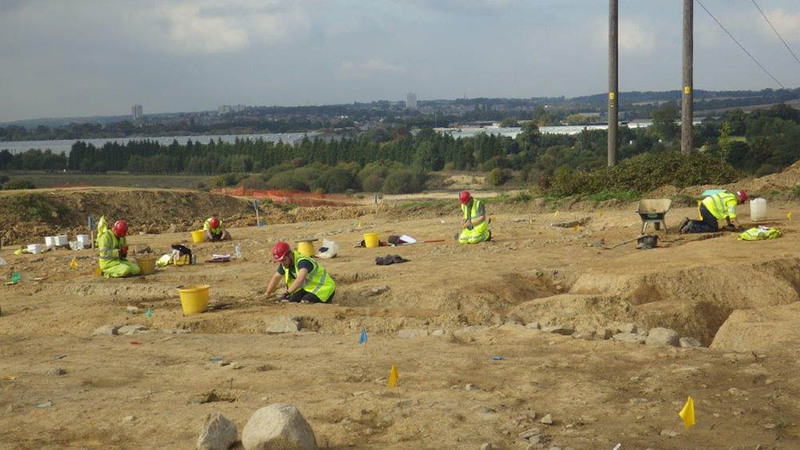 During this period, NAA has been working to ensure that the archaeological remains on the site are appropriately excavated and recorded, whilst minimising delays and costs to the construction programme. 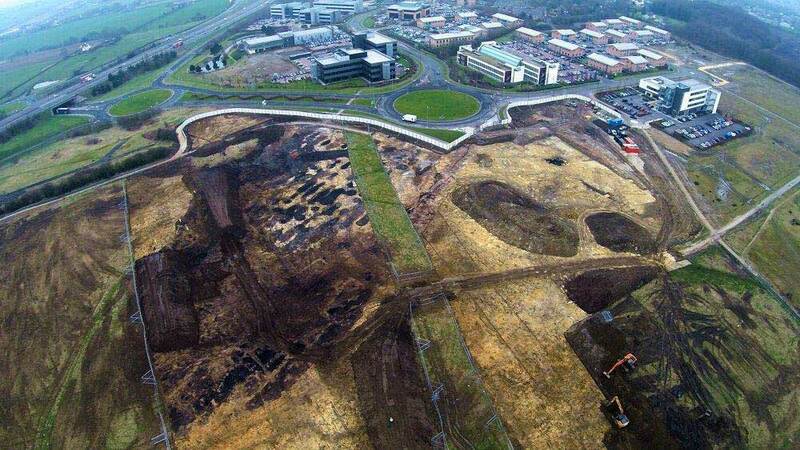 The 100ha site has been developed in blocks, each of which has revealed archaeological remains. 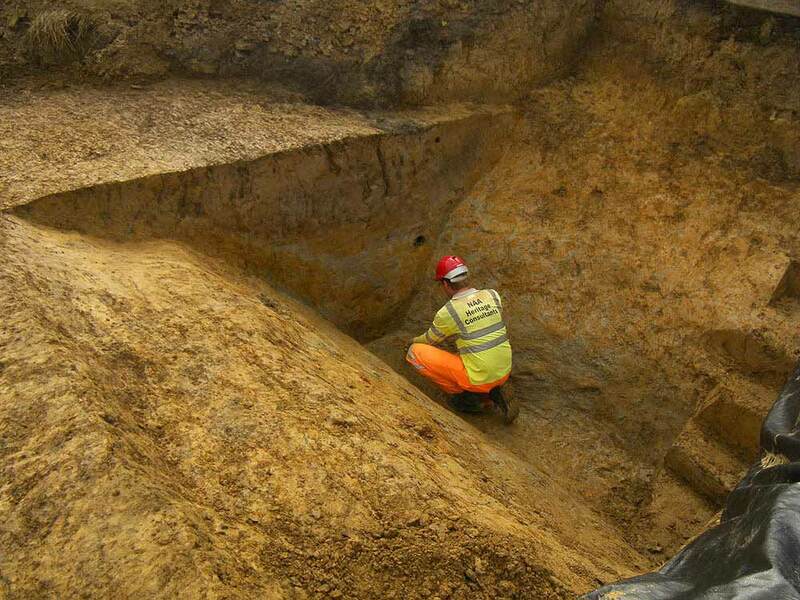 A 2m-deep section of Grim’s Ditch, a long and imposing Late Iron Age boundary feature, was found with the ploughed-out remnants of its former bank. 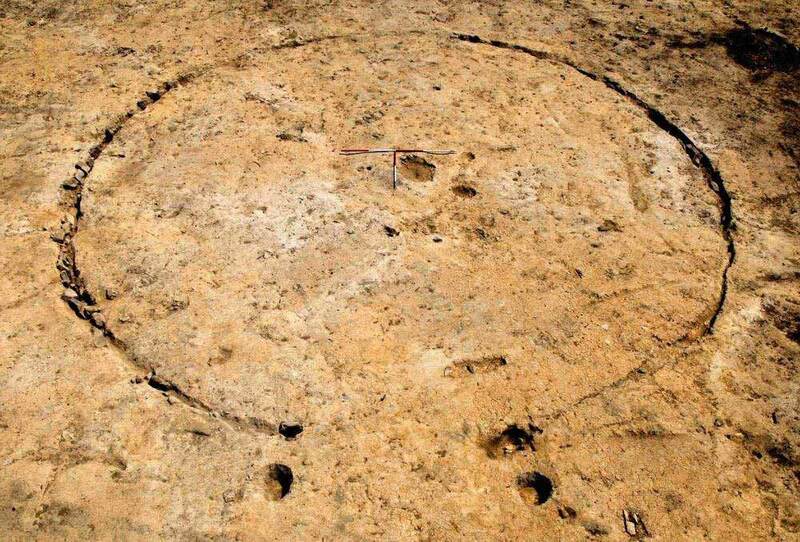 Remains of Iron Age or early Roman settlement were identified nearby, including a well-preserved roundhouse and a granary building. 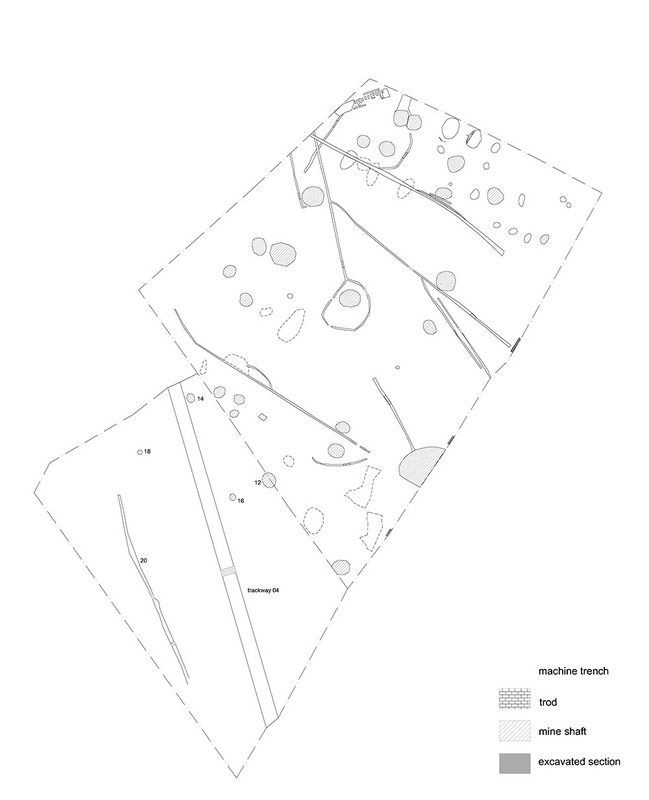 It was clear that these buildings and associated enclosures were part of a farmed landscape, and an altar and fine quality pottery suggest that agricultural life prospered on into the Roman period as part of the estate of a high-status house or villa. Later, the land formed part of the medieval open fields of the townships of Austhorpe and Barrowby, and traces of ridge and furrow ploughing confirmed continuing agriculture at this time. There is documentary evidence for coal-working during the medieval period, and numerous infilled coal pits were found: some were ‘bell-pits’, while others were deeper shafts or exploratory holes. Amongst the backfill in the mine workings, there were many 18th-century pottery sherds and fragments of kiln waste from a pottery manufacturing site at nearby Lazencroft. 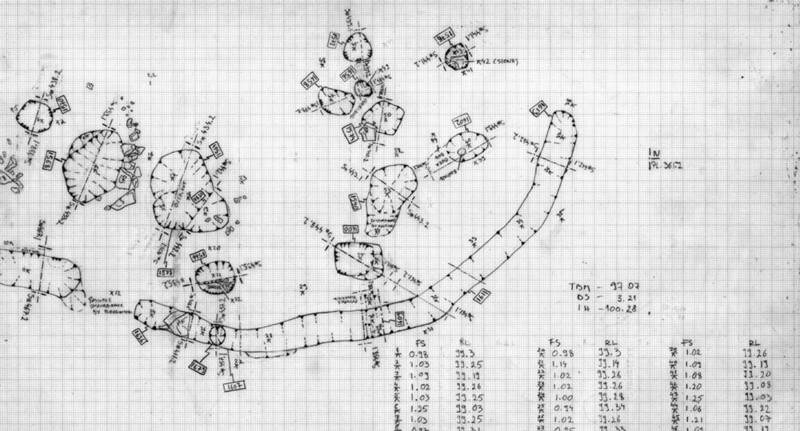 The remains of a 19th-century mine were represented by a group of buildings adjacent to a capped, brick-lined shaft known as Ellen Pit. A substantial stone structure and a brick-floored building may have been the site of a winding engine for the shaft. The most recent work at Thorpe Park has investigated the First National Shell Filling Factory, a World War I munitions factory at Barnbow. 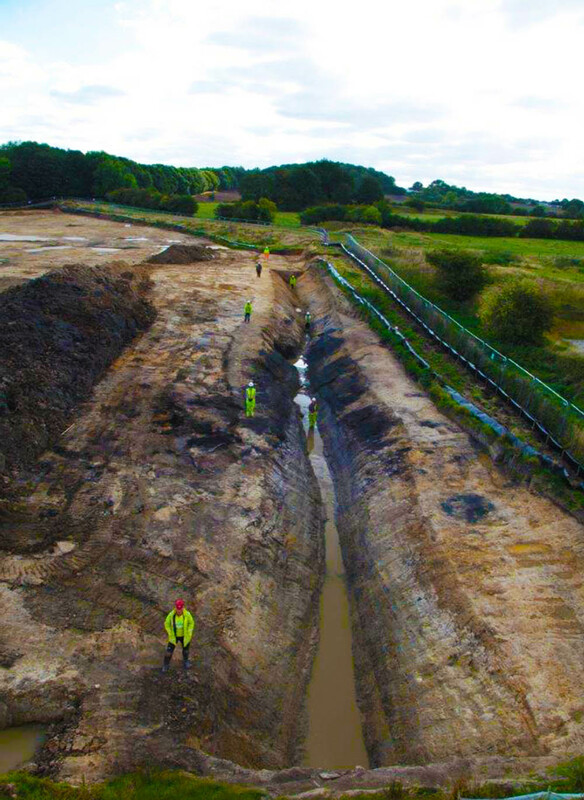 Thorpe Park has been a particularly exciting project to work on due to the wealth of archaeological features that reveal long-lived agricultural continuity in the landscape before rapid change to mining and industry in post-medieval times. 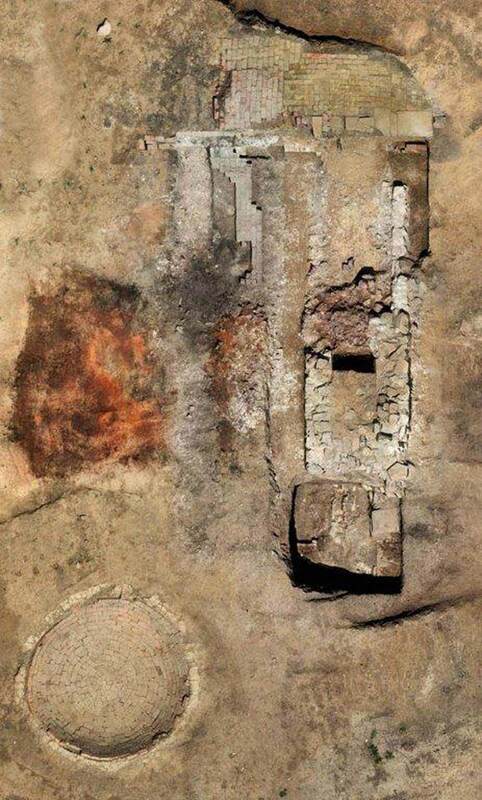 Through this project, NAA has demonstrated our ability to manage complicated sites over a long time span through the application of different evaluation and mitigation strategies, ensuring that archaeology is appropriately mitigated and doesn’t impact on the overall progress and success of development.